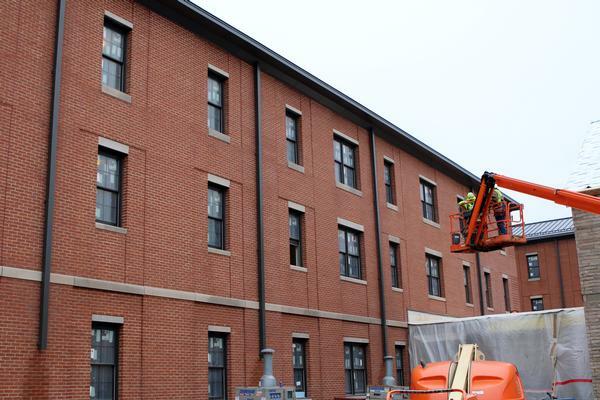 With classes set to resume Jan. 18, 2016, workers at the new student housing site are scrambling to have the new halls ready for occupancy. 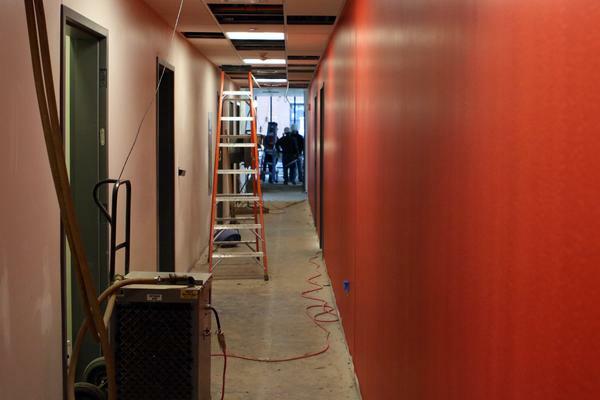 Wabash men vacated Martindale Hall at the start of the holiday break and expect to move into new digs when they return. 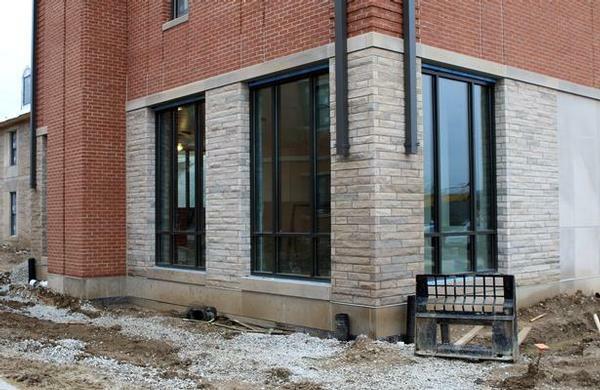 The halls will be ready, said Director of Campus Services David Morgan, though there will be construction work going on well past the move-in dates. Morgan led a pre-Christmas walk through the two large halls that showed lots of rooming options and a remarkable number of bathrooms. 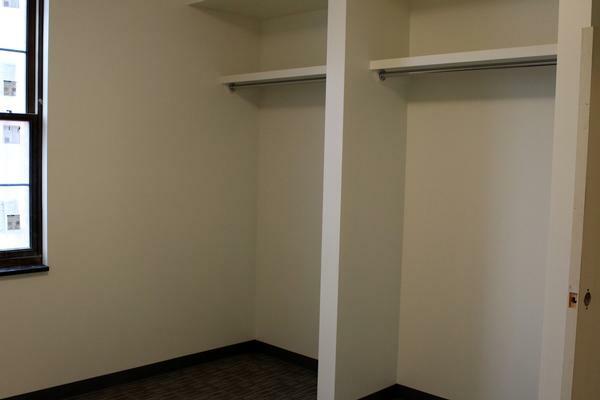 No matter the room configuration, no more than two students share any bathroom in the new units. The construction crew surpassed 80 workers the day of the walk through. 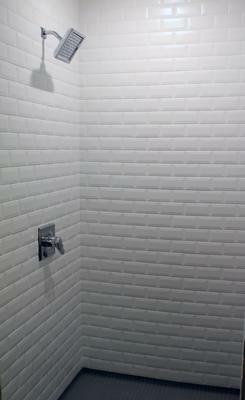 The bathrooms are spacious with a single sink and drawers, toilet, and tiled shower. 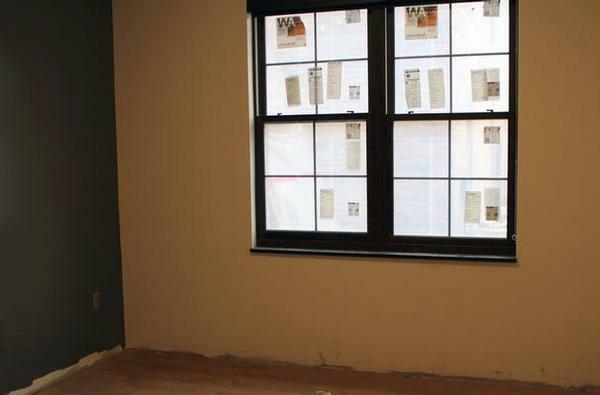 There are a variety of room combinations from two single rooms with a bath to combos with four students with two bedrooms and two baths. 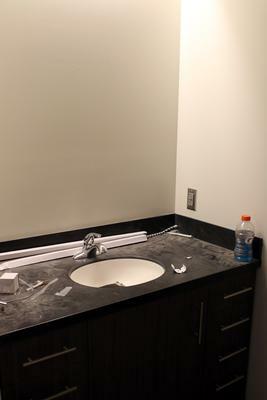 Most of the rooms feature a common space, rare in dorm-style housing, with a small kitchenette. 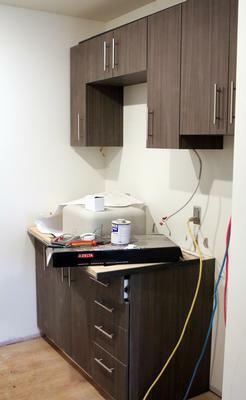 The kitchen has cabinets, sink, three-quarter refrigerator, and a microwave. Each hall’s common space is striking. 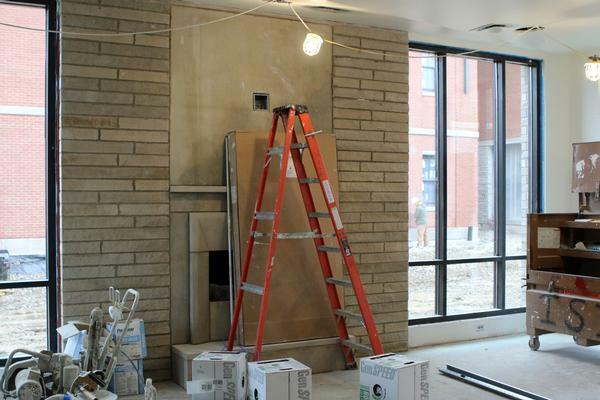 A limestone-framed gas fireplace is the centerpiece of each common area. But a glass wall with wood lattice which divides the space from the adjoining stairwell will be an interesting architectural touch when completed. 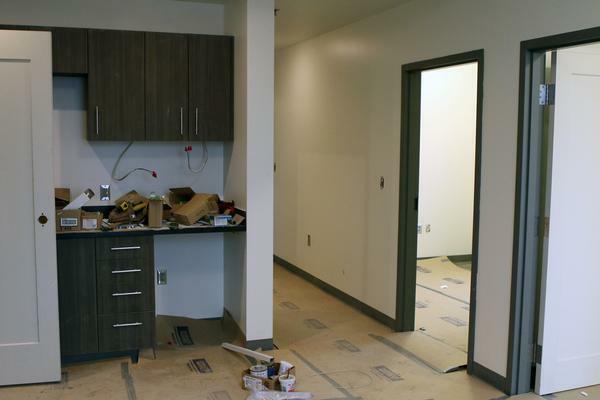 The common space also features elevated desks in one corner for a study space as well as a small kitchenette. 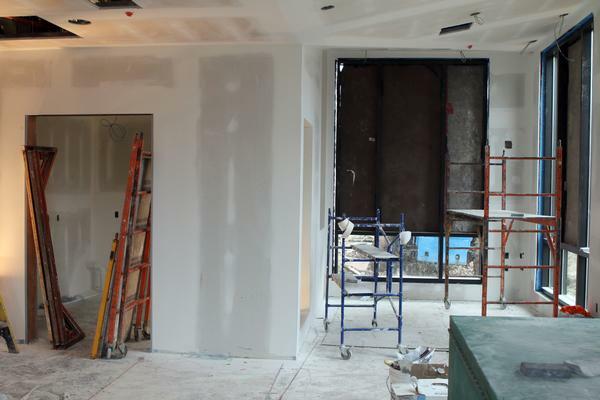 The pressure is on the crews to complete the work for occupancy. 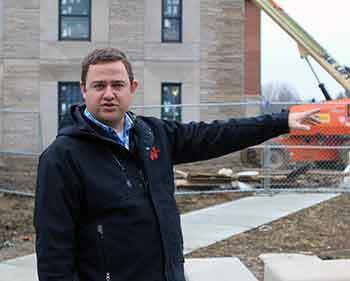 Work to renovate Martindale will be well underway when students return for spring semester. 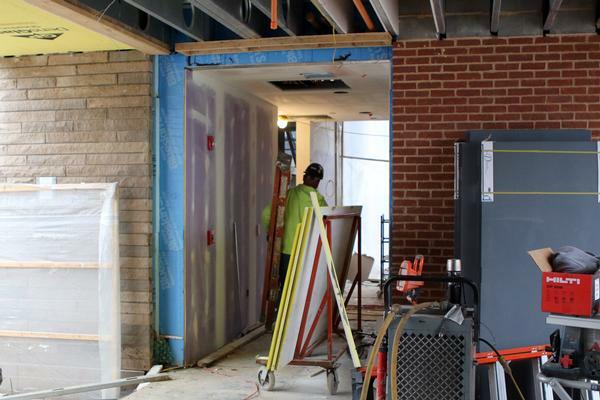 The Martindale renovation is expected to be completed before the start of the 2016 school year begins.